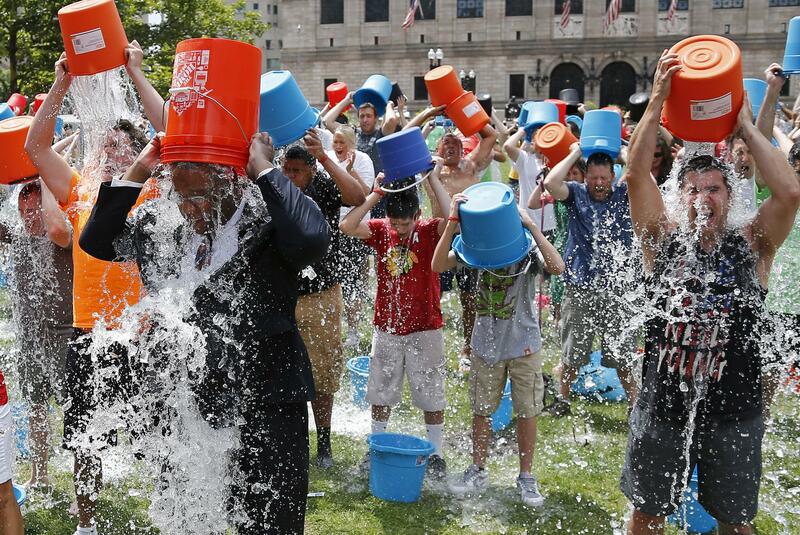 What can we learn from the ice bucket challenge? That the Ice Bucket Challenge was a huge marketing success is a given. How it actually benefited the non-profits working for ALS, is a subject of debate with quite a few dissenting voices. However, as an entrepreneur, here’s what I learnt from the campaign. Specificity of action AND cause, help. One without the other perhaps might not have been as successful. Take the case of the imitator ‘rice bucket challenge’ where people were asked to donate a bucket of rice to the needs. Worthy cause, but was not specific. Making a task ‘fun and enjoyable’ is NOT trivializing the cause. To me the ice bucket challenge illustrates that doing something fun, even when you are promoting a serious cause does not undermine the seriousness of the cause or the intent. (As an entrepreneur and marketer, this could apply to any company as well. When could we see a stock exchange do a ‘walk the ramp’ challenge for companies where managements walk the ramp in office with their colleagues cheering & joining, and they challenge someone forward to do it.). People want to be SEEN doing something good. The ‘pass it forward’ aspect AND the videos were critical to the success. I don’t think 99.9% of the people had any particular soft corner for supporting ALS. But being SEEN as participating in something good was cool. (I know a few friends who will say this is a case of sour grapes as no one invited me to do the challenge). But, hats off to the team. Great job done. Keep pouring. According to me, the most important factor was the “connect”. As you said in your last point that some people felt bad for not being invited. I feel a friend personally inviting on a public forum to do the challenge is more impactful than a celebrity in a TV ad. Secondly, it was a chain; like network marketing. It had the power of network marketing without any stake. I hardly saw people donating, atleast not in my friend circle. Thirdly, it was “fashionable”. Fashion is created by socially superior people. For us and other countries, it was the Americans doin it. There would be very few chains of ALS crossing country boundaries. Love it…..and live life large was what stuck but certainly would agree – all humor aside, a great post and lots of insightful thinking to do! Previous Previous post: Bootstrapping – Boon or Bane for Product Startups?